There are many, many books about depression. Self-help books, melancholy literature, etc. There are not many books about depression which are beautiful. Yesterday, I bought a copy of a tiny, tiny, very limited comic called "everything's grey" at the Cardiff Independent Comic Expo. Apparently, it was number 20 of only 100 copies. It's a very short comic. In fact, by now this blog post has several times more words in it than the comic does. It's only a handful of pages long. Nonetheless, I thought it was beautiful - a work of art. Beautiful illustrations, and a great capture of certain emotions. 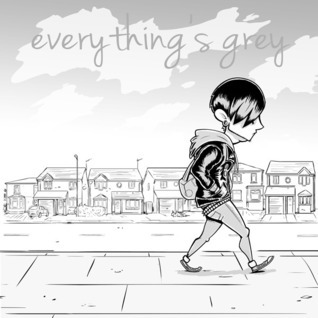 Everything's grey reminded me of a picture book I've read, so I decided to post a dual review. The Red Tree is a picture book, quite probably for children. It, too, is about depression and associated emotions. Its protagonist is a little girl with red hair. It's a longer, more complex work than everything's grey. The Red Tree illustrates various emotions and thoughts that belong to that mood, and does so with a much more complex style. Its art is fantastical, but perfect. The story, such as it is, is essentially the same, but the approach is slightly different. 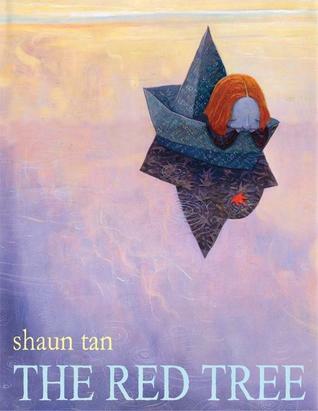 A child protagonist rather than a young adult, and a fantastical, colourful interpretation rather than a realistic, black and white one, give the book a slightly different feel. It is, quite simply, a masterpiece. In my opinion, it's the most stunning artistic evocation of depression that I have ever come across. At their hearts, both these works are hopeful. I wouldn't hesitate to recommend either.